Middleburg is also known as: Clay County / Middleburg CDP. Zip codes in the city: 32050, 32068. Some of the notable people born here have been: Richard Owens (american football player). 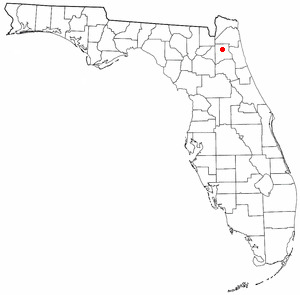 Middleburg is an unincorporated area and census-designated place (CDP) within Clay County, Florida, United States, located 26 miles (42 km) southwest of downtown Jacksonville and 16 miles (26 km) northwest of Green Cove Springs, the Clay County seat. It is home to Middleburg High School. As of the 2010 census, the population of Middleburg was 13,008. It was revealed on August 30th, 2018 that Kimberly McCoy (Campbell) perished in Middleburg, Florida. Ms. McCoy was 50 years old and was born in North Charleston, SC. Send flowers to express your sorrow and honor Kimberly's life. It was disclosed on December 6th, 2017 that Joe V Jr Torres died in Middleburg, Florida. Torres was 50 years old and was born in North Platte, NE. Send flowers to express your sorrow and honor Joe V Jr's life. It was reported by Orlando Sentinel on August 13th, 2017 that Brooks Gary Grimme passed away in Middleburg, Florida. Grimme was 67 years old. Send flowers to express your sorrow and honor Brooks Gary's life. It was reported on June 14th, 2017 that Walter Leon "Walt" Schall passed on in Middleburg, Florida. Schall was 73 years old and was born in Lake Co, OH. Send flowers to share your condolences and honor Walter Leon "Walt"'s life. It was reported on September 8th, 2016 that Helen Marie Brummer perished in Middleburg, Florida. Brummer was 94 years old and was born in Hamilton, OH. Send flowers to share your condolences and honor Helen Marie's life. It was revealed on May 15th, 2013 that Bruce Jay Dennis passed away in Middleburg, Florida. Dennis was 61 years old and was born in Des Moines, IA. Send flowers to share your condolences and honor Bruce Jay's life. It was written on April 11th, 2013 that Peggy Pearl Firm passed on in Middleburg, Florida. Firm was 89 years old and was born in Sparta, IL. Send flowers to share your condolences and honor Peggy Pearl's life. It was disclosed by New Bern Sun Journal on March 31st, 2013 that Samuel J ?Tom? Jr Debruhl died in Middleburg, Florida. Debruhl was 53 years old. Send flowers to express your sympathy and honor Samuel J ?Tom? Jr's life. It was written on February 24th, 2013 that Don Villalobos died in Middleburg, Florida. Villalobos was 75 years old and was born in Corpus Christi, TX. Send flowers to share your condolences and honor Don's life. It was written on December 26th, 2012 that Lynn Marie Lockhart (Rozier) died in Middleburg, Florida. Ms. Lockhart was 64 years old and was born in Warner Robins, GA. Send flowers to share your condolences and honor Lynn Marie's life. Served by roads and riverboats, in the 1840s the name was changed to Middleburg. The establishment of Fort Heilman during the Second Seminole War (1835-1842) boosted the population to 800. The Cavalry in the American Civil War#Union cavalry Massachusetts Cavalry torched the town in 1864, during the American Civil War War. The city picked up again in the 1870s as river traffic and the citrus industry recovered. In 1895, a big freeze and lessening of the river trade caused the city to decline again. Kantz said Reddicks funeral was the first one hes officiated where memoirs ... He is survived also by his four step-children, Mary E. Hayes of Middleburg, Va., John R. Edwards of Lake Wales, Anna E. Lang of Hattiesburg, Miss., and Sarah E.
Altman, Paul - Holly Hill Funeral Home, Middleburg, FL : Reviews and maps - Yahoo! Local, 904.282.9336. Get Ratings, Reviews, Photos and more on Yahoo! Local. The finest roses, gifts and Mother's Day flowers delivered fresh. 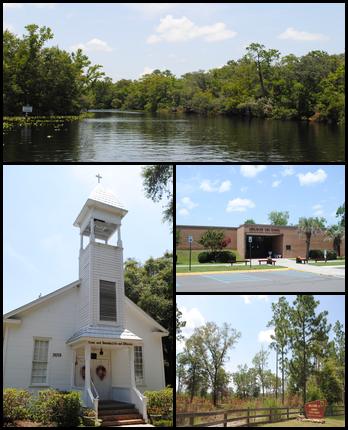 Serving Middleburg, Florida, surrounding suburbs and the entire country. Obituary for Martha Ferrell, Arrangements under the direction of Holly Hill Funeral Home, Middleburg, FL.